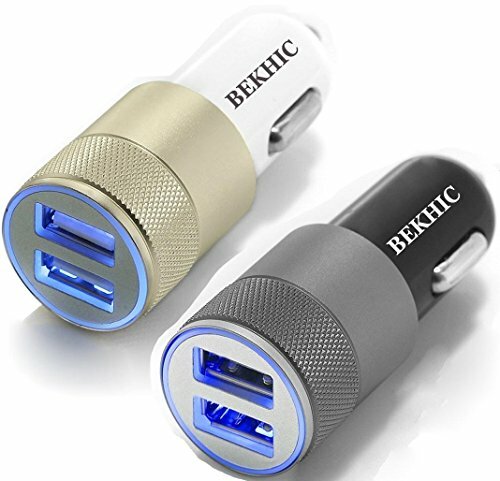 Bekhic car charger with its brushed aluminum finish and circular blue LED light looks as good as it performs. - Bekhic intelligent circuit design protects against short circuiting, over-heating, over-current, and over-charging. Charging stops when battery is full. - Made from fire proof materials for your safety. - Certified by RoHS, CE, and FCC. -12 months worry-free product guarantee for every purchase from BekhicTM.